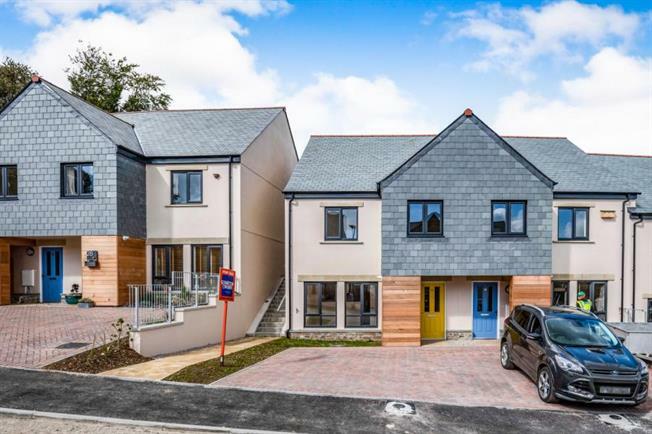 2 Bedroom End of Terrace House For Sale in Lostwithiel for £232,995. This popular village location development is now 70% sold DON'T MISS OUT on the remaining homes of this development!! Ready to move in Summer 2019. This last phase of the development comprises of 26 homes in total. ONLY 8 open market properties now remaining. Much care has been taken in the design of these beautifully appointed family homes. Viewings are highly recommended to truly appreciate this outstanding hidden gem in the rolling hills of Cornwall.